At AvGeeks we are one of the top audio-visual service providers that dedicate ourselves to the design, setting up and maintenance of AV conferencing platforms, multi-media presentation tools, video surveillance camera units, burglar alarms, home theatres and other commercial security systems. Our Audio Visual Ottawa Company delivers a selection of AV solutions that emphasise on the requirements of various clients. This comprises of high-resolution and premium quality projection systems explicitly for conference room set-up. In Ottawa’s we carry out commercial display installations such as bars, hotels, schools and restaurant chains. We will provide you with the best and cleanest commercial TV installation and will follow through from the beginning to the end. We will mount your TV on any surface where construction permits in order to give you the best viewing experience. We install screens and projectors and you can remain at ease even after we leave your site because we are insured. Whether you are looking for a commercial TV installation in a hotel, call centre, leisure centre or meeting room, we have access to numerous companies who supply large format displays whose design is for the purpose of using for longer periods of time and thus guaranteed for commercial use. Manufacturers make a varied range of screen sizes, designed for use for up to sixteen hours a day. These are best for big venues that need to display their commercials all through the day. 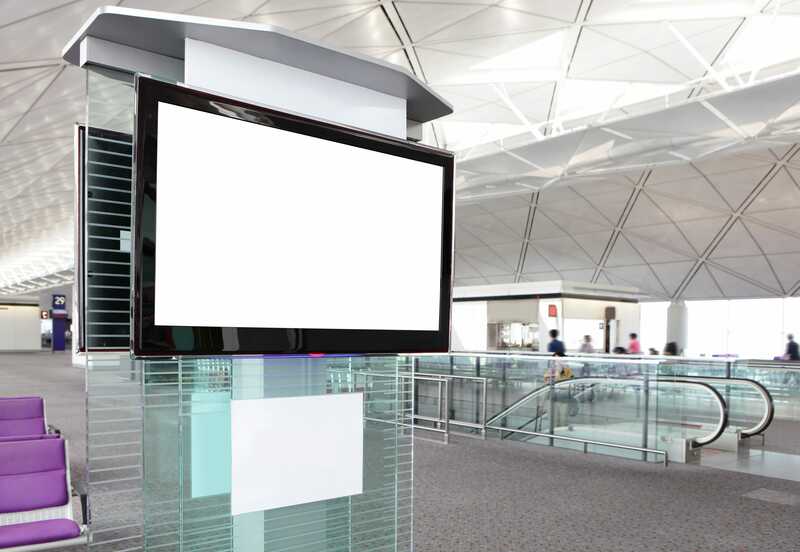 Of course, there are much smaller commercial screens in the market so rest assured that we will install the correct size and type required for your space. Our commercial TV installations range from offices, shop windows and reception areas where the screens act as digital signage displays using presentations and signage players. These signage keep everyone up to date with company information. We have installed numerous commercial screen systems into businesses and call centres where there is a need to display company information. We ordinarily install these along with a matrix system so that different screens display different information. Most of the available large format displays designs are for continuous use in a commercial setting no matter where they are set up since they provide you and your clients with round the clock information. We are also capable of installing a range of shared touch screen displays, which permit your clients to have more control over what they view. We use highly reliable technologies supported by a reputable setup of dependable manufacturers. Our solutions are personalised and designed to fulfil the needs and targets of our clients. Our team of specialists perform effortlessly and flawlessly to deliver the results that you desire. We manage and coordinate our services well such that, whether our team works from isolated stations or onsite, they do away with the disruption of overseeing and maintaining your TV networks. We do not guess or make baseless decisions because we first conduct surveys before deciding on our next course of action. We clean up after we complete our installations and leave your site the way we found it.